The North Carolina Senate race pits incumbent Democratic Sen. Kay Hagan against Republican challenger Thom Tillis. While the two campaigns have aggressively attacked each another, they’ve had a lot of help from outside supporters as well. Tillis: Education Budget Backer or Hacker? 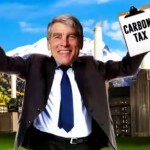 Crossroads GPS claims that Colorado Sen. Mark Udall “voted to enact a carbon tax.” Udall did no such thing. Republican Thom Tillis claims that Sen. Kay Hagan “supported a carbon tax” that would destroy “up to 67,000 jobs in North Carolina over the next ten years.” That’s not accurate, either. Two new ads from Senate Majority PAC wrongly claim North Carolina Senate candidate Thom Tillis “raised taxes on 80 percent of North Carolinians.” The claim is based on a misreading of an analysis of a 2013 Tillis-backed tax plan. A TV ad from GOP Senate candidate Thom Tillis says that a recent attack ad about him from the Senate Majority PAC is “false.” We don’t think so. 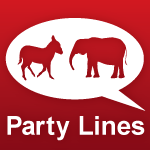 Affiliated liberal groups founded by a Democratic political strategist and heavily funded by labor unions.